The Portland Clinic and Basics nutrition center will open at a new Venerable project at 50th & Sandy in Summer 2018. Venerable manages the newly-renovation Sovereign Building on SW Broadway. 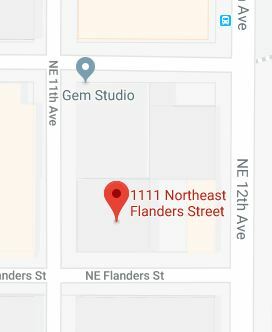 Studio apartments are available for lease. Mill Pond Village is former brownfield site that Venerable transformed into a new urbanist subdivision in Astoria, Oregon. Venerable completed this compatible infill development in the Irvington Historic District in 2004. The White Stag Block was completed in 2008 and is home to the University of Oregon's Portland campus. The transformation of the Copeland Building into Stumptown Coffee's new headquarters was completed in 2012. NW Fence & Wire Works in Portland's Central Eastside Industrial District. Venerable rehabilitated this historic fire station on SE Stark in 2010, utilizing historic tax credits and Oregon's Special Assessment Program. Restoration of the White Stag Block included recreation of fire-damaged historic doors and damaged cast iron columns. Attention to detail. High standards for customer service. Quality new construction and a passion for historic preservation. This is what drives the team at Venerable. Portland, Ore. —Shovels hit dirt this morning at the corner of NE 50th Avenue and Sandy Boulevard as four leading Portland-area-based institutions came together to break ground on a visionary new health and wellness center to serve the Hollywood and Rose City communities. 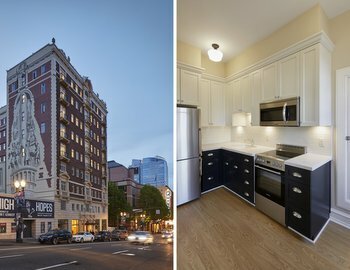 Beautiful 400-550 sf studio apartments are available at the Sovereign in the heart of downtown Portland. Fully renovated with high-end kitchens and all the historic character restored! Call 971-219-3922 to arrange a tour. Venerable Group and its subsidiaries provide our clients with a full range of professional real estate services and a team dedicated to the adaptive reuse of historic properties and high-quality new construction.